The workshop is organized within the framework of the French-Israeli conferences under the auspices of the Office of Science and Technology of the French Embassy in Israel, with the support of Ben-Gurion University of the Negev (BGU). Its goal is to provide a podium for space scientists and astrophysicists from France, Israel, as well as from other countries to exchange ideas and discuss all aspects related to waves and instabilities in space and astrophysical plasmas. Graduated students and young researchers are particularly encouraged to attend. The workshop will be held in Eilat, a resort town along the shore of the red sea in southern Israel, at the local BGU campus. The workshop will take place from Sunday evening, June 19th, to Friday afternoon, June 24th, 2011. There is no registration fee, and the cost of the coffee breaks and lunches will be covered by the workshop, as will be the welcome cocktail, the workshop dinner, and the planned excursion. Rooms at special rate are available during the workshop at either the Adi hotel or the Americana hotel. 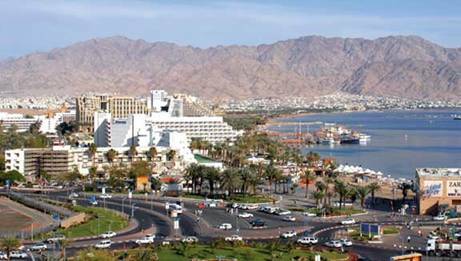 In addition, there a numerous hotels in Eilat with a wide range of prices and facilities. A shuttle bus will run from the Adi and Americana hotels to the BGU Eilat campus in the morning, and back at the end of the sessions.